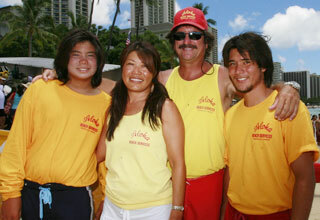 The Robello family owns Aloha Beach Services, a Waikiki beach concession stand which was started in the 1950s by late patriarch Harry Robello. The family has taught generations of tourists how to surf. » Honolulu Lite: Earth is a happy place! ?